The healthy young woman in front of you today is not the same person she was eight years ago. I have seen things. Experienced things. Know things that can only be learned through pain. Desperation. And deliverance. Who am I? I’m a young lady who has recovered from anorexia. And I’m sharing with you my story. As I sit down to write something that is insurmountable in its gravity, overwhelming in importance, and disgraceful in its honesty, I feel impossibly vulnerable and am reminded of my shame. For with these words I will be exposing the tortured reality that over ten million women and one million men in the US have to face every single moment of every day: anorexia. I’ve been in recovery for eight years, but to be completely honest, the disease never truly goes away. The voice of death, or “ED” as the inpatient centers like to refer to it, never fully silences. It can get muffled or muted, but never truly snuffed. Every single day I have to wake up and decide that I’m going to choose recovery. Choose life. And I am 26 years old. I’ve taken on this task of exposing the raw truth behind life with anorexia, so as to offer insight and hope to the loved ones of those with this harrowing disease. For if you are reading these words, you are most likely at your wit’s end, out of ideas, and desperate to get your loved one to eat and kick this eating disorder. I find it shocking how misunderstood this disease is. In talking with my family and friends about when I was in the thick – or rather, thin – of my disease, no one really understood what was going on or how they could help. All they saw was a girl, who from the outside used to have everything going for her, now wasting away – deteriorating to 78 pounds. Everyone’s verbiage was similar — they all felt their “hands were tied,” helpless, unable to make me gain weight, unable to get through to the girl I used to be. That’s the thing: anorexia makes you draw completely into yourself – or rather, completely into the spiral of the disease. You become an unrecognizable shell of your former self – physically, mentally, emotionally, socially and spiritually. You care about nothing else, except for your disease, and your control over the numbers on the scale. To describe a typical day, and to fully understand the state of mind would be nearly impossible. I will try, but it is hard to fully grasp the depth of darkness or the pervasive nature of the disease. In order to fully understand, it is important to realize that these thoughts are coming from the state of someone whose brain was literally foggy. At 5’6” and 78 pounds, the lack of body fat is so severe that the brain’s cushion of fat pads have literally deteriorated, making clear thinking and sound decision making out of the question. Who am I? I am no longer that lost girl anymore. This is absolutely beautiful my friend <3 I appreciate your style of writing and love your openness. I have been healed of anorexia/bulimia and would like to let you know it is possible to receive FULL recovery from the disease. The thoughts may lurk but it doesn't mean we need to gravitate towards them. Lies may be whispered in our ears but when we choose to cry out to our God and Saviour for His truth He is always there to wrap us in His arms and reveal truth in powerful ways to us. I'm going out on a limb by saying this but dealing with such a horrific disease can be seen as a blessing. If we let them the lies will draw us deeply into Christ's powerful truth. If we run to Him instead of death's embrace, if we choose to allow Our Almighty to wrap us in His pinions nothing can touch us! We are daughters of the King of Kings and Lord of Lords! We will bring healing to others. Let's choose to dig even more deeply and claim our status as daughters of the King and seek to know Him even more intimately. Let's do this not only because He heals but because He is worth it. He is so worth it. He is a powerful Healer. It is possible to receive FULL recovery and to touch a nation with His healing. Let's choose to believe that Love never fails. Thank you Katie:) I appreciate your kindness! Thank you for sharing your journey. May the love of Jesus hold you tightly, as his love radiates out of you to others in need. Thank you☺️ yes Jesus is good and through Him we find our strength! You write so beautifully. I really do feel like I am reading the first chapter of a novel, but this one here is so raw and so real. Thank you for your honesty and for being an inspiration. Thanks Irene. I appreciate that 🙂 thanks for stopping by! I never want to be ignorant to this topic, as I know it can be a never ending battle. She also struggled in other areas such as bulimia, attempt at suicide, and other mental issues. I’m excited to continue to reading your other posts to try and grasp even a better understanding. You are a gifted writer, and it shows that God is using you as His instrument. Keep on writing! My first instinct upon reading “Read this first” was to turn away, to run from your story. I am a coward, you see, and shrink from the unpleasant, the painful. Gathering up a little resolve, I clicked on “My first post”, wondering how long I would last until I would turn you off. Your first paragraphs reinforced my feelings of avoidance, but I kept reading. Then, something ‘magical’ happened: Your courage, your honesty, your equanimity shone through the awful fog of suffering and bathed me in their light. I, a middle-aged, overweight male, began to empathize with someone whose affliction was thoroughly alien to me. Your disease was alien to me, not so your humanity! We humans – family, friends and strangers – are bound by our suffering, whatever its specific nature. But more importantly, we are bound by our strengths and joys – and aspirations. You touched that strength in me, even as I shrank from your suffering, which I pretended not to recognize. And in that instant, an epiphany: I haven’t been avoiding others’ suffering; I’ve been running from my own! Thank you for being the instrument of my enlightenment. I will continue on reading your posts as you suggested: As though they were chapters in a book. A book, I might add, that judging from its first installment, will – once finished – find a wide and appreciative audience. Godspeed! Thank you for visiting my site, and by it the gift of visiting yours. May Jesus continue to bless and strengthen you as you continue to heal. Well done, and thank you for stopping by my blog. Your courage and deep honesty helps so many people! Keep on shining the light into these dark places! Thanks for sharing your story. I was an Alcoholic when Jesus saved me. He walked me out of self hatred, anger and rejection. He has set me free. Yet even today if I take my eyes of Him I end up thinking the same old thoughts. Bless You. Thank you so much Andrew. I appreciate your encouraging words. Yes, it is my deepest prayer to offer hope to those who need it. Thanks for stopping by! Hi Alice, thank you so much! I’m so glad your sister has chosen the freedom of recovery! 🙌 God is good and I owe my healing — my life, really — to Him. Thanks for stopping by. Hugs! I noticed it is getting close to the 1st anniversary of you baring your soul in such a remarkably, profound, and vulnerable way, so I thought I would revisit the beginning. I feel like I’ve known you forever. Your ability to connect with people on their level (no matter what that level might be, no matter the demons that torment them), is a beautiful and valuable gift from God. Not many have it, and fewer still use it so effectively. Insurmountable, overwhelming, and disgraceful, indeed. But words that are more beautifully and powerfully torn from a person’s soul have never been written. I am – like all the others – truly blessed that God placed you in my path. I agree. Ditto on what Tony said. Keep on writing and don’t stop unless God very clearly leads you to do otherwise. God’s Word will not return void. I am a new follower 😊 and from reading your first entry you have already answered a question I posted on my blog recently: do we ever fully recover? Your statement that you have been “in recovery” for the past 8 years is exactly how I experience it too, but thought that perhaps it is the wrong way of thinking as according to everyone else I am meant to be recovered (wish someone will enlighten my ‘anorexic thoughts’ of this perception too!). I am looking forward in reading the rest of your entries 😊 and thank you for providing a stepping stone to others who are writing about their ED, as admittance is one thing, but acceptance is an entirety on its own. Thank you so much for this beautiful reflection, Tulip. It took me a long time to admit that I needed help. It wasn’t until k was actually at inpatient that I admitted it. But there is so much freedom in recovery. And yes it is a day by day but it is 100% better place to be in than that dark pit of ED. Sending so much love and support and prayers in your recovery my friend. Stay strong. You are worth this new life and freedom! Hugs! Although you have not written your name, I first of all wish to thank you for visiting my blog. I truly appreciate. And as I was reading your post here, I kept thinking, “The things that people go through that I don’t know of! !” Will want to know how you are doing now. I too thank God for you! I am really glad to know that this blog exists. It’s so important for people struggling with this to know someone can relate to them, and for those who love them to better understand. By being vulnerable, you’ve made this possible. So well written. And such a service to those trying to understand anorexia. A. Wonderful synopsis of the state of despair we know so well! After seven years trodding down an identical road, I was suddenly and gratefully able to rejoin the world of people as well. But the disease never does go away entirely–nor should it. I try to live impeccably with its unerring, invaluable advisement day by day, albeit never perfectly of course! And I haven’t had to return to that deadly place for the past 30 years… thanks to the divine guidance that intervened throughout the years. The never-ending task of learning how to eat has stayed with me all these years. I’m still finding out more all the time because my relationship with God is more important than any other I know. He is in me and you, always has been and always will be. Our vehicle is the blessing we were given and all seem to value in so many different ways, and yet, we forget so easily that our perception of it is also a gift that we must learn to accept and love. Love your writing and thank you for looking in as well! Wow. I am new to blogging. I have been resisting it for years because I felt a false connection would ensue. I want real meaningful relationships, people I can touch and feel. However, your first blog connected with me so deeply, so eloquently, I am in awe. Now I see how God has used technology to connect His children in ways that would never be possible before. You write so beautifully, I am inspired to continue writing myself, and will read the rest of your posts to get up to date on how God is transforming you into His glorious image here on earth. Thank you for visiting my blog and connecting with me. Thank you for being so real, so vulnerable, and so deep at such a young age. May you know the peace and joy of Christ amidst the sorrows of the day. It is the only way we truly come to KNOW our Savior, when we share our sorrow with Him. Bless you dear sister, I will be back! Thank you for sharing your journey. Looking forward to reading more! Hi, My friend Katherine recommended me your site. My 17-year old daughter and once aspiring ballerina was diagnosed with anorexia 2 months ago. It has been a harrowing time. She was hospitalized for 2 weeks and now she’s home she has to eat on a strict regiment. It’s depressing to see her eat–and total lack of interest in food. Anorexia has destroyed her joy of ballet and everything else. It even tries to trick her into thinking the food is making her sick. Thankfully she was not as thin as you were when she was hospitalized but still at 5 ft 6 she was about 100lbs and doing ballet 4 hours or more a day. it was God’s grace that made her land in the hospital. I shudder when I think about how her heart could have stopped beating–it went down to 37. I know she desperately wants to get better but the anorexia returns on and off and it’s a struggle to get her to eat. Thanks for sharing your story. I pray the Lord of Grace and Joy will help you in your journey and that one day soon anorexia will be completely behind you. I pray this also for my daughter. Sending a big hug back! Reading your work is really resonating with me and I’m glad that the Lord has put this into my life because it’s really opening my eyes. Thanks for visiting my site and making a way to allow me to se yours. I remember when I struggled with this same battle when I was in middle and high school and although it is now a distant memory, I do remember many of the things you speak so vividly about. I love your honesty and your mission to help others going through the same thing. I’m in the middle of writing a book myself and touch upon this very battle, but not as in depth as you do. I definitely sense the ministry you’ve been given as you share your struggles and your victories. Bless you! Wow. This is simultaneously heartbreaking and beautiful. Thank you for sharing your story. I pray that as people read your words, they are encouraged by what God is doing in your life and realize that, with Him, they can do it, too. 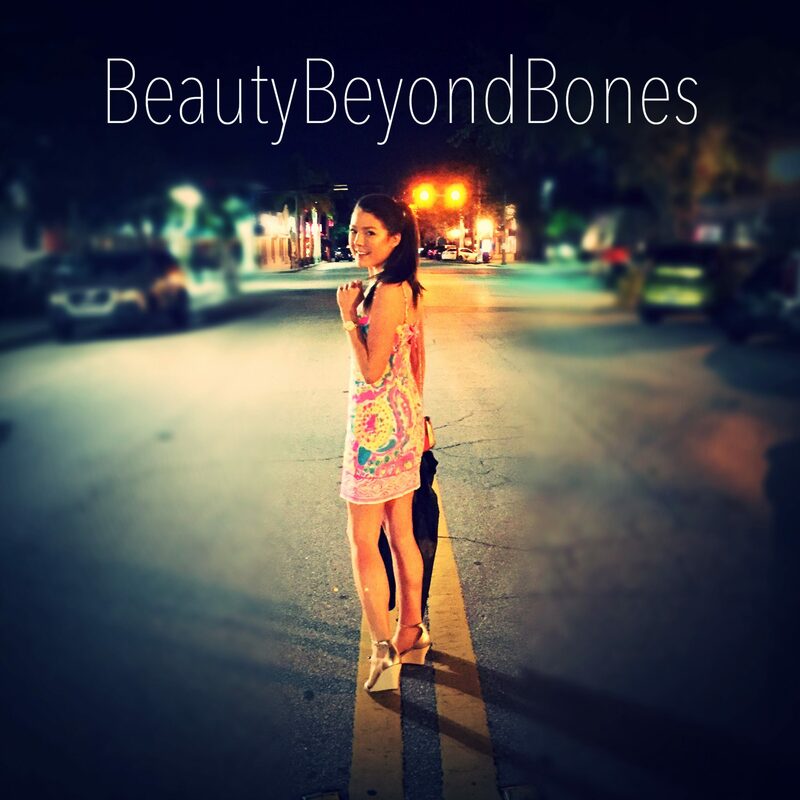 You are beauty beyond bones. Thank you for sharing your life with us. I love how very open you are when talking about your experiences. Your prose is also wonderful and feels very real. Damn. That’s a really powerful first post. It must’ve been so hard to write (or maybe easy?). Looking forward to reading the rest, following your journey. You have a beautiful soul, and I am looking forward to continue learning about your journey. It is one that I have not learned much about in depth. Love and light to you. I imagined being the parent, and reading your words as if you were my own, and believing my child wouldn’t vanish before my eye’s because of God’s great Love. Tears. So grateful you can help others with your testimony and kind witness. Praying for you. 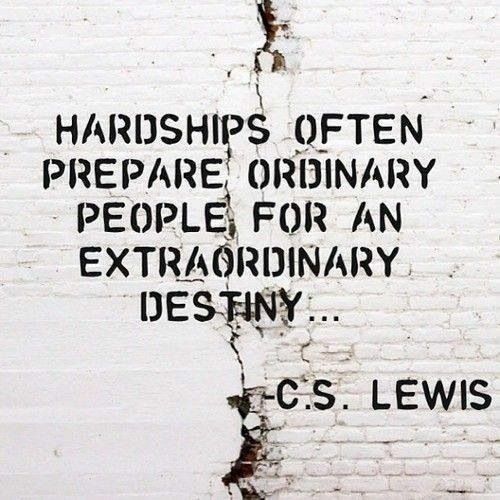 Hardships often prepare ordinary people, for an extraordinary destiny. Hello 🙂 I read your whole blog haha … I don’t know why, but I want to know you and your story. I feel a connection to you. Somehow beyond time and space. Beyond the physical in the realm of the Spirit. Does this make any sense to you? I will try to remind you every single day how wonderful you really are. I feel that Jesus has given me the advise to protect you and be your companion 🙂 You are a strong person, a powerful women, but I am sure you need sometimes a hug, a few encouraging words, someone who listens to you and is a Light of Guidance. You are always welcome, Caralyn. Always! I will take care of you. So beautifully and provokingly written. Thank you for sharing your story, and all the pain that goes along with it. You are a hero, and an overcomer. What a beautiful blog you have here! I am so grateful that you liked a post on mine so that I could find yours. Your strength in telling your story so honestly and with such vulnerability connects your readers immediately with you! I am so happy you are recovered. You are beautiful inside and out! Keep up the great work inspiring your readers! “Who am I? I am no longer that lost girl anymore.” You go, girl! Best wishes for a continues recovery, Alison (10000 Miles & More). I have a friend with anorexia.. so I kinda understand what you had to go through.. Thank you! I have also experienced, not ED, but a host of other mental health issues and I really appreciate you giving a voice to the recovery process. It is a really long and difficult journey and I have found that recovery is not talked about enough online in comparison to how we talk about (and sometimes romanticise!) illness. Sending you much love and support! mmmmm….because we’re all recovering from something. yes. you had me before that but those words sealed the deal. happy to have found you today and i’ll be reading up as I am eager to know your whole story. beautiful blog, beautiful soul. carry on, warrior. Very inspirational posts… and a journey that everyone can learn from. Eating disorder is a metaphor in my opinion, what you have written will essentially help anyone fight whatever crisis they are dealing with in their life. Wish you all the best in your life ahead! I am really looking forward to it; as I have developed my blogging routine, your suggestion to start at the beginning inspired the idea of backcatablogging that you can read about in several of my posts. It has taken me some time to understand the balance of blogging with day to day life and my own creative writing, but now that things seem stabilized on those fronts, I am eager to explore your blog, the “inception” of the idea! I hope you are well, and see that you are headed back to NYC? Safe travels. I look forward to a return home to the States from Singapore in a couple of weeks. Thanks again! Yes! I am back 🙂 oh wow! That should be a wonderful trip! It will be good to be home for a short time, but SO far to travel. Hi there! Thanks for stopping by at my site and for liking my post. I’m still quite new in blogging and at times I’m finding it quite hard to put all these ideas in writing. Maybe there’s just too much going on that I’m not quite sure how to begin 🙂 I really like how people can just do it and like what you’re doing here. I read your first blog first but decided to read your current post as well 🙂 and will come by and read from the 2nd post… this is interesting! Wow! Your strength is so inspiring. I appreciate you opening up and letting us get a glimpse into your life. I am reading this a few years after you posted it and I am glad to see you are still on the path to happiness. Thank you for stopping by my blog and I can’t wait to read through your journey to healthy. THIS BATTLE IS NOT OVER HOWEVER, IT CAN BE WON ON A DAILY BASIS. ONE DAY AT A TIME GOD CAN PROVIDE A WAY TO KEEP US ON THE RIGHT PATH OF BEATING THE ODDS. I will thank my God for every remembrance of you when I see your daily posts. May He continue to perform the good work He has begun in you!! I love your story and how you are now using your story to reach the broken. How amazing that God used the very thing that made you feel like death into something that gives life and hope to others. Look forward to seeing more of your journey to come!